For weeks, I had been looking forward to revisiting Mont Orford. 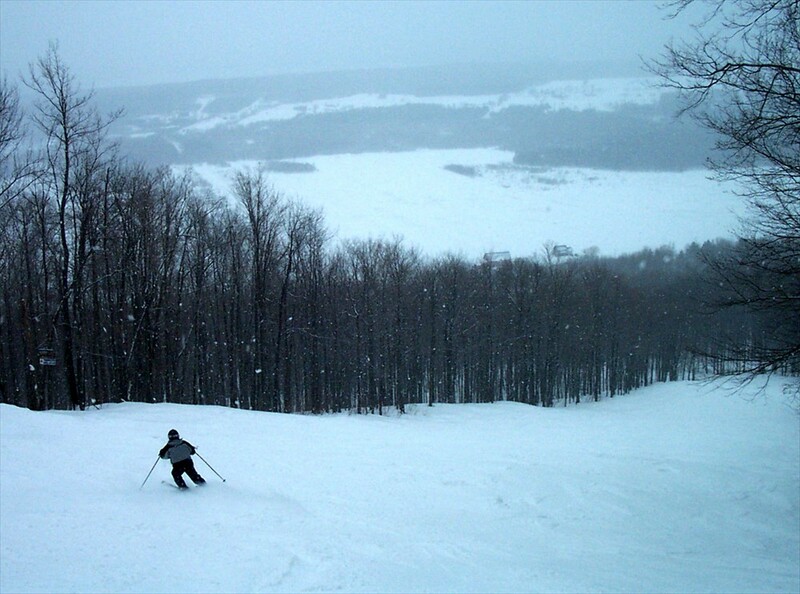 After all, it was there, during the winter of 2000, that I ended a 14-year hiatus from downhill skiing. Since then, I’ve made a point of returning to Orford each season and tipping my helmet in gratitude to this challenging and, until recently, under-visited ski area. This year, with the introduction of the first chair/gondola hybrid in North America, I was even more impatient to go back. The mountain’s lifts, in particular, the painfully slow Chaises du Ciel chair that served the summit, had always been its weakest selling point, and the newly installed “Chondola” was, by all reports, breathing new interest and enthusiasm into the ski area. However, upon arrival at the base, I came face-to-face with a phenomenon that would have been unimaginable at the old Orford, even on a mid-winter weekend: completely full parking lots and 10-minute queues snaking behind each of its three lifts. I decided that I hadn’t driven six hours to stand in lift lines and ski on crowded trails. Without thinking twice, I turned the car around, headed back to Autoroute 10, and drove west toward Montreal. Twenty minutes later, I left the highway at exit 78. But instead of following the dozens of cars heading south toward Bromont, the popular resort known for attracting hordes of day-tripping Montrealers, I turned north toward the humble village of Granby: home to one of the best-kept secrets of Eastern Canada: Mont Shefford. The only reason I knew of it was because I had come across an enthusiastic thread on the French-Canadian website ZoneSki that went on at length about the uncrowded, no-frills skiing there. No question, the ZoneSkiers were on the money about Shefford. Here was a real-life trip in the way-back machine: an old-fashioned community hill with two t-bars serving 1,000 vertical feet, about 15 official trails, lots of trees, and absolutely no snowmaking. As I was slowly dragged up the hill, I got a first-hand look at what was on the menu that day: a half-foot of sporadically tracked-up powder on the “groomed” trails, and untouched knee-high fluff in the trees. After four phenomenal runs through perfectly spaced trees on the skier’s far left, I could see that, on a decent percentage of the mountain, very little of the terrain had been significantly altered. Just a few trees had been removed here and there, creating the impression that you’re skiing through someone’s extended backyard. And although I began the day snickering at its modest size, within a half hour, I realized that, with full coverage, Shefford couldn’t be skied out so quickly. The area’s tagline, “Une Montagne à Decouvrir (A Mountain To Discover),” apparently hadn’t been chosen arbitrarily. For the rest of the afternoon, I did lap after lap on the t-bars, with the longest wait no more than five people — positively basking in the glow of skiing the way it used to be: little to no grooming, dirt-cheap prices on everything, absolutely no hotels or condos for miles, zero attitude from employees, ski patrol, and other skiers, and ambiance to spare. In addition to its inexpensive day passes, Shefford offers what may be the cheapest season pass in existence: buy your abonnement de saison before December 6, and you can ski every day except Christmas/New Years week for a laughable $49 CDN ($37 U.S.): about what we had paid for lunch during a recent trip to Vail. But as much as time seems to have stood still at Shefford, change may be on the way. Rumors have begun to circulate that the area’s owner is planning to install a used triple chairlift in time for next season. Shefford’s small, but ardent band of fanatics are already fearful about the effect that even an old chairlift would have on the area: both on the quality of the snow and the number of skiers tracking up the hill’s desolate tree runs. Personally, I’m not concerned that hordes of mainstream skiers will suddenly discover the charms of Shefford. A place like this isn’t for everyone, and it’ll never turn into a destination area. Until further notice, Shefford will remain a ski hill that resolutely refuses to move out of the past. Following my successful expedition to Shefford, I had no desire to go back down the beaten path. While most New England ski areas were packed to the gills with holiday punters, I decided to try another small mountain — one that had recently dodged bankruptcy and closure, Mont Glen. I arrived at 10 am to a virtually empty ski area. Only about 15 cars were parked in front of the base area. After subtracting those that presumably belonged to employees, I wondered how many paying customers were actually going to be on the hill today. When I arrived at the clapboard lodge, I smugly realized that I was going to have an experience that most skiers dream about: an entire lift-served mountain for myself (and about eight other equally ecstatic skiers). My mood brightened even further when I learned that it was 2-for-1 Monday: about $11.50 U.S. per person. I soon found myself creeping over Mont Glen’s 1,100 vertical rise toward the summit. Compared to the t-bars and anything-goes layout of Shefford, Mont Glen felt nominally more modern, with clearly defined trails, a pair of fixed chairlifts, and an omnipresent team of patrollers and technicians. What Mont Glen shares with Shefford, besides an unapologetic “family ski hill” orientation, is its complete reliance on natural snow. 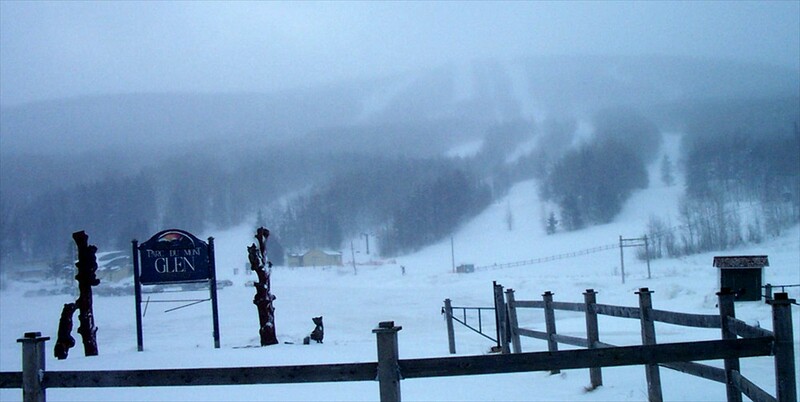 In what is becoming a rarity in the Northeast (or anywhere, for that matter), the mountain has no snowmaking equipment. The payoff: as I blazed down a series of twisting, rolling intermediate trails on the skier’s right, the 100% natural snow felt like velvet under my skis. 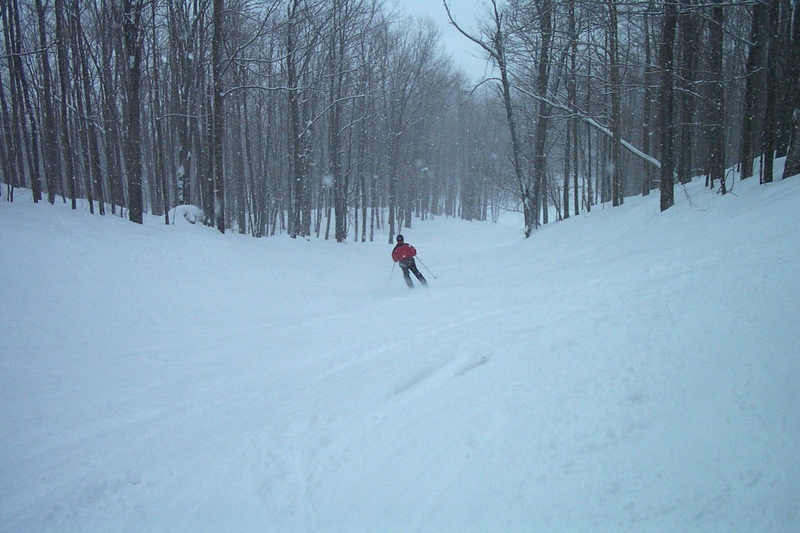 By my fourth run, I was ready for the woods, so I darted into a series of short, powder-choked glades. Oddly enough, while picking my way down a few of the single-diamond trails and treed terrain on the skier’s left, I had the impression that I was back at Sutton. Later that day, I overheard that Sutton’s mastermind, Réal Boulanger, had helped design many of Mont Glen’s runs over 40 years ago. By 3:45, with my feet almost numb from the cold, I called it a day. As I schlepped back to the car, I realized that there was something inherently satisfying about changing my itinerary in mid-trip to discover two old-school ski areas that most U.S. skiers have never even heard of. Shefford and Glen are decidedly not the kind of places you’d like to ski right after a major thaw/freeze cycle. But if you time things correctly, and are ready for something a little out of the ordinary, you’ll be glad you left your roadmap at home. After my visit in January 2004, Mont Shefford appeared to be making a strong effort to position itself as an alternative to Bromont a few miles away. 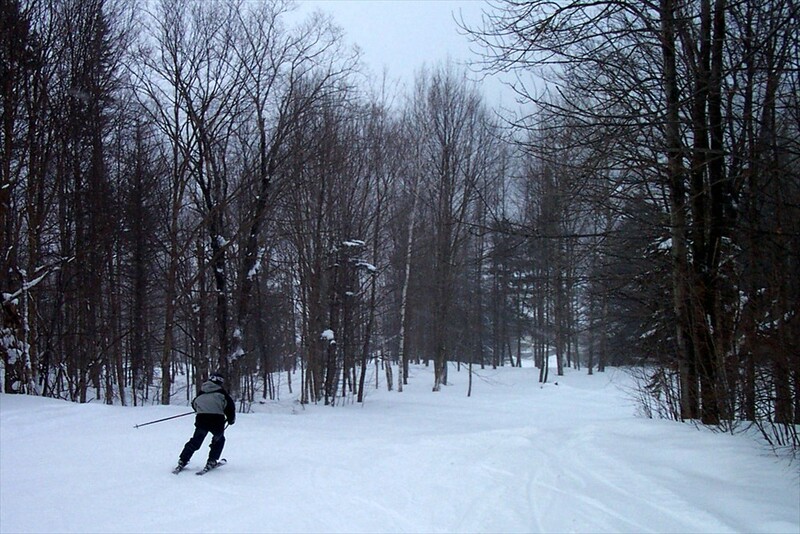 Instead of snowmaking guns, crowded trails without any character, overgroomed snow, slopeside condos, and lift lines, Shefford would provide an authentic trip to the way skiing used to be in the Eastern Townships. In addition to replacing its main t-bar with a used triple chair, the Zoneski team created an attractive new website, and several new trails and glades were cut by a crew of volunteers. 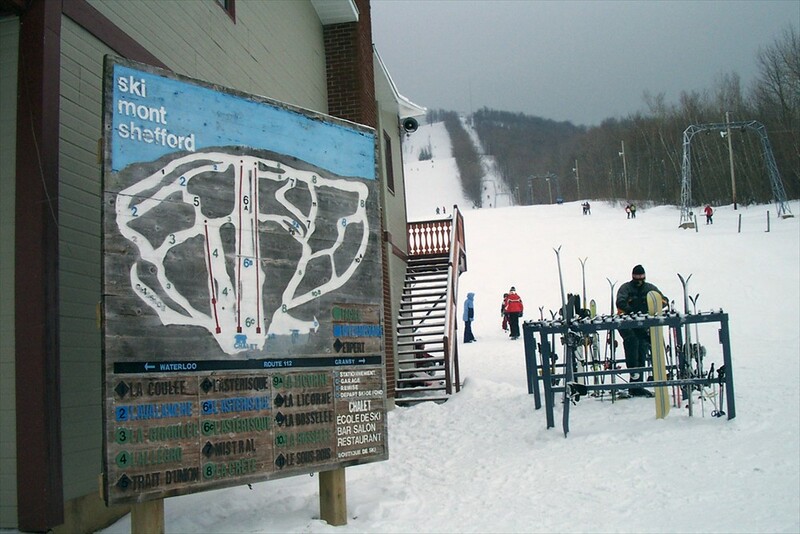 Unfortunately, Shefford wasn’t able to compete with hugely popular Bromont a few miles away, and the ski area never reopened after the conclusion of the 2005-06 season. 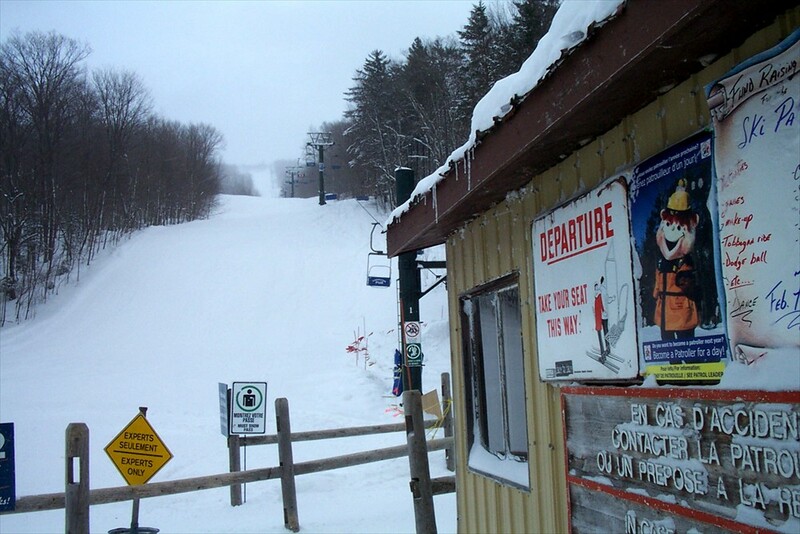 Mont Glen didn’t operate during the 2005-06 and 2006-07 seasons, but was brought back to life in December 2007 by real-estate wunderkind Maryo Lamothe as a semi-private ski area that allowed non-members to purchase day tickets over the internet. 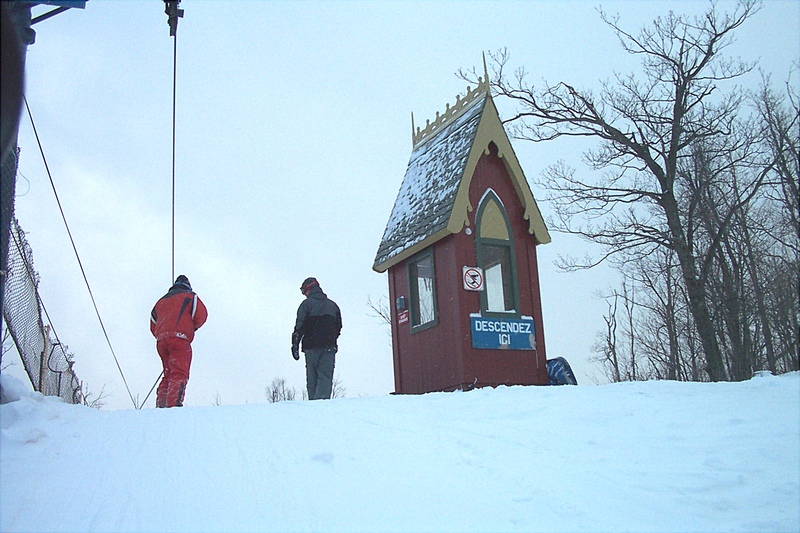 But instead of attempting to compete with better established and more modern ski areas in the region (Bromont, Sutton, Owls Head, Mont Orford), Club Mont Glen planned to offer skiers a traditional experience that, similar to Mont Shefford, emphasized the mountain’s distinctive, old-school personality. However, due to too many ski areas serving a flat or declining customer base, along with the real-estate implosion that doomed the sale of homes tied to the development, Mont Glen’s new operating model barely made it to the end of the season. Today, the mountain is used as a private ski area by Lamothe for friends and family. James, always admire not only your writing style but your off the beaten path to areas the avg Joe never heard of. It was a pleasure meeting you on the Bearpen hike and thanks for writing the Bearpen stories. Thanks for the comment, CK! FYI, this article was originally posted on Snowjournal in January 2004 and was brought over to NY Ski Magazine a while back. Those two ski areas never made it off the LSAP list, unfortunately. That Bearpen hike was fantastic/thanks for putting it together.